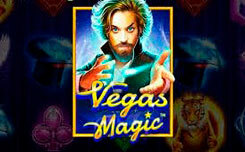 The new game “Queen of Gold” is a 6-drum and 25-line video slot from the company Pragmatic Play, and the sixth drum has no symbols, it only serves to multiply your winnings. Each spin on the sixth reel has a random multiplier that can reach x100. Graphics in the new video slot is also very interesting and displays the entire history of the Ancient Nile. 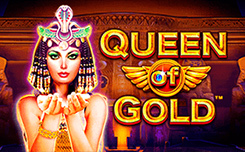 The symbols of the slot have a corresponding appearance, for example, you can see boats floating on the Nile, Cleopatra, Empress Nila and the queen of gold – all these symbols are the most expensive in the game, and the cheaper ones are standard A, K, Q. The game also has a scatter symbol , which has the appearance of the Egyptian pyramid, and the symbol Wild, which looks like a mask of Tutankhamun, will replace any other symbol. Of course, at the present time many providers try to have Egyptian-themed games in their portfolio, mainly in order to be different from their competitors, here is the company Pragmatic Play, it did not become an exception and added to the slot cool functions that have no analogues. 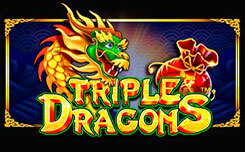 The first function is Free Spins, which requires at least three symbols of the pyramid to run. 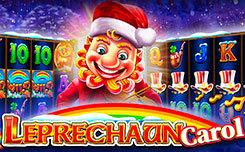 After that you will be credited with 10 free spins with multiplier winnings up to x100, re-dropping will bring another 10 spins and so on. The second function is a function of levels, the higher the level, the higher the minimum multiplier. 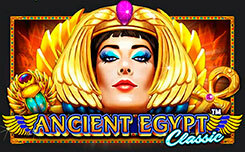 In order to climb the levels, you need to collect Cleopatra symbols in the middle part of the playing field, and the number of symbols already received can be seen in the upper left corner. If you have reached the maximum level (Super), then you can count on a big win, because the multiplier of your win will not start with x2, but at least x10.